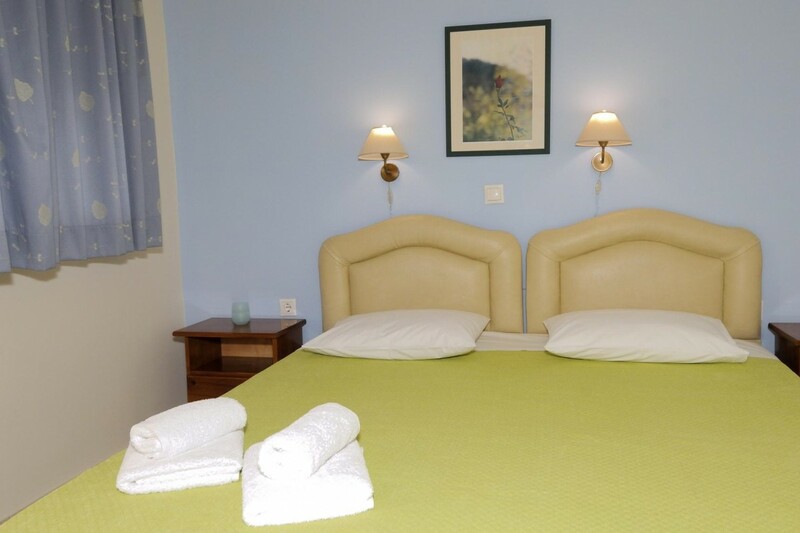 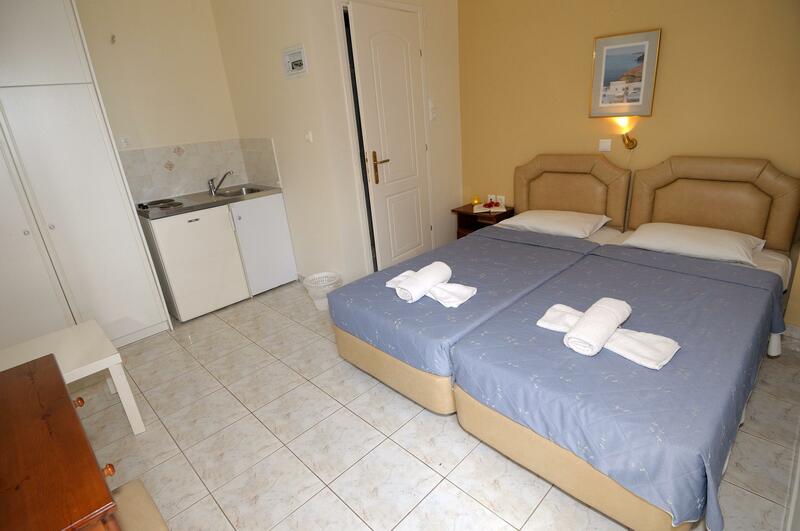 Land of Gods hotel has 12 studios : 6 double – triple, 1 quadruple with sea view and 5 ground floor double room overlooking the garden or the sea . 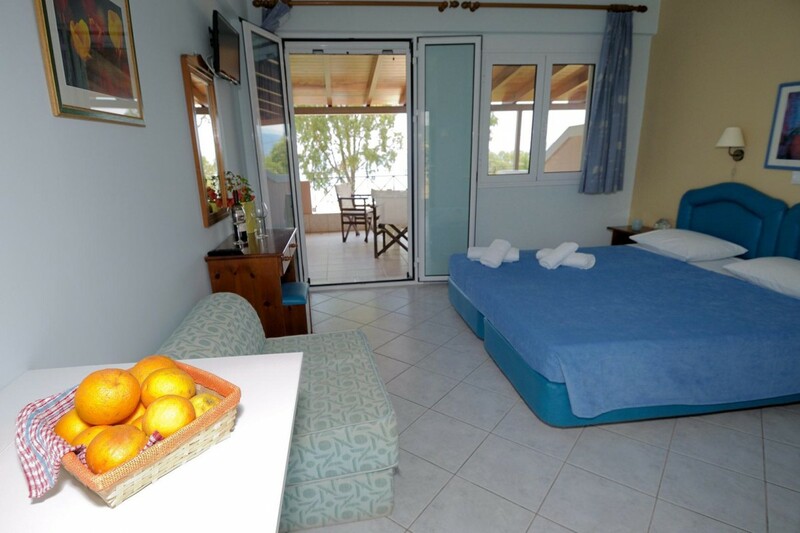 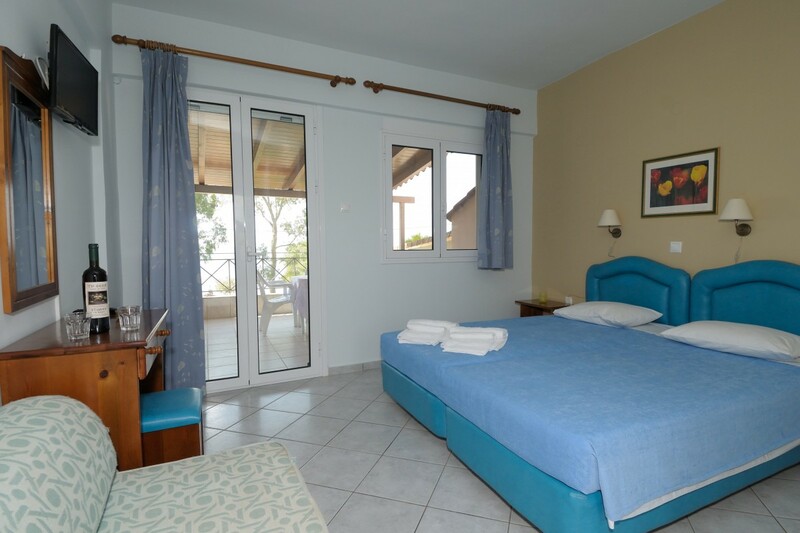 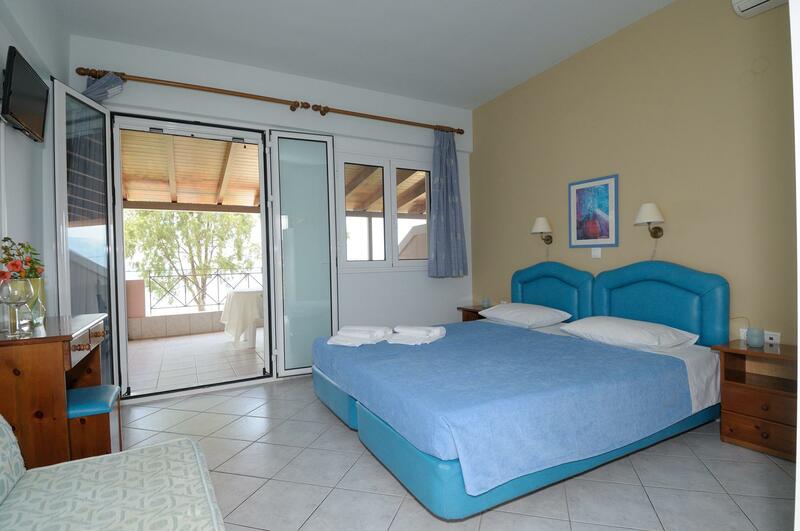 Studios Land of Gods have a large balcony overlooking the Gulf of Laconia where you can experience relaxing to the sounds of the wave and the beautiful stone fountain in the garden . 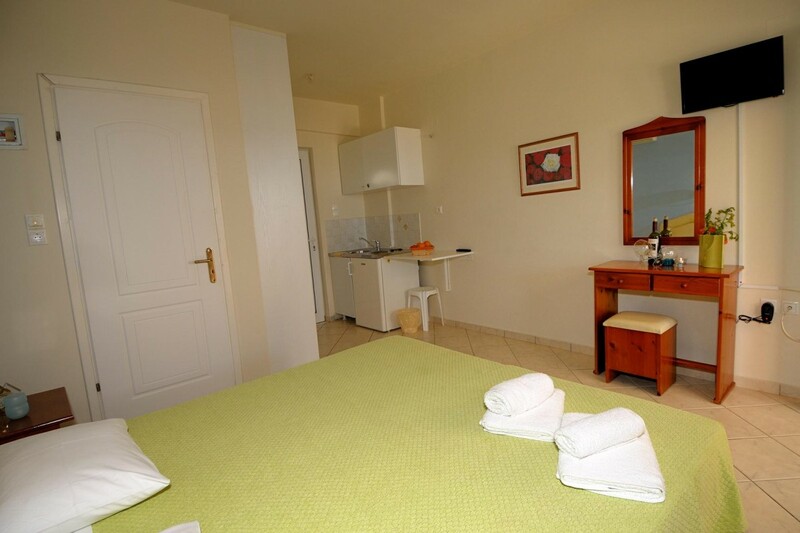 The romantic decoration of the room combined with the speechless view of the garden are rewarding your choice.